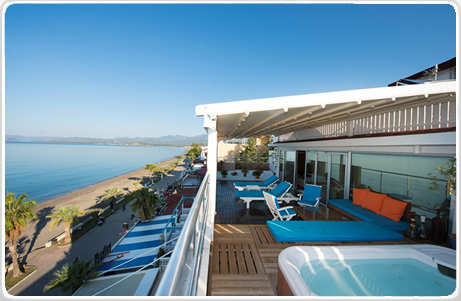 Hotel Delta is situated in the bay of Fethiye. It is a small family run hotel that offers exceptionally good accommodation and a high standard of service. 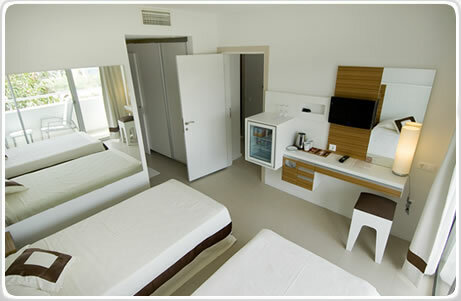 This modern hotel is set on the beach, you only need to cross the promanade and you are on the beach. The hotel has a lift to all floors. Tea and coffee making facilities for each room are available.On the ground floor there is an elegant lobby bar with internet access. A buffet style breakfast is served at the beach front restaurant.